← How to get 7% of a nation on a single picture? 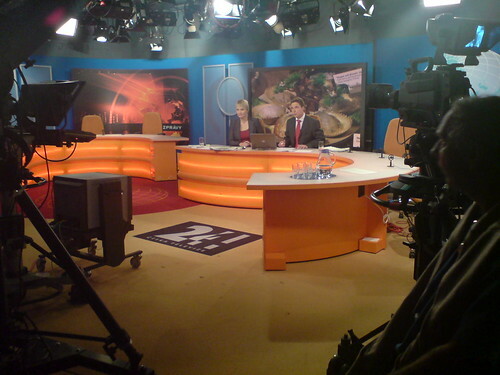 Dobré Ráno is the morning show on Czech national TV station ČT1, watched by about 40% of the country’s population older than 15. I had the honour to be invited to talk about the future of internet communications there last week. See the video to improve your czech skills (the interview starts at around 7:45 o’clock or 01:48 into the video). UPDATED: sorry, video link did not work, should now. Skype development centre in Prague is now officially open, by the way.